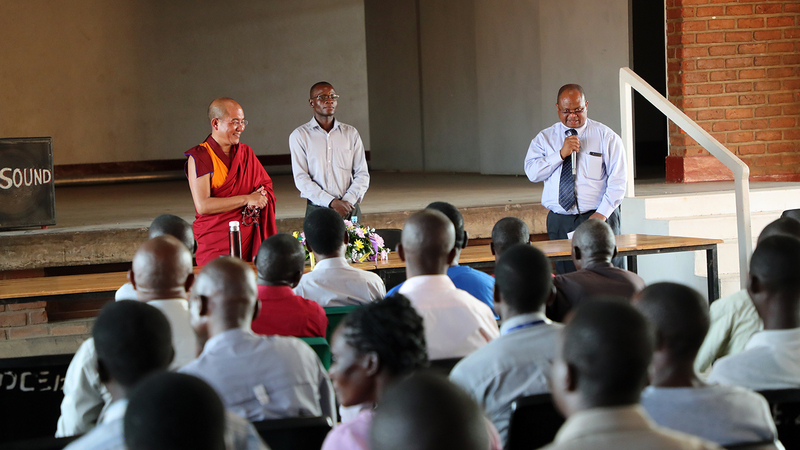 On the 25th of September, 2018, Khenpo Sodargye visited Domasi College of Education, Malawi, and gave a talk on “Happiness and Beyond” to the students and teachers there. In his talk, Khenpo shared his ideas on the significance and responsibilities of teachers, the proper attitude of being a teacher, and how teaching relates to the sense of happiness. As a teacher who found happiness through teaching, Khenpo shares his secret and aspiration within this profession. Please click here to find out more.